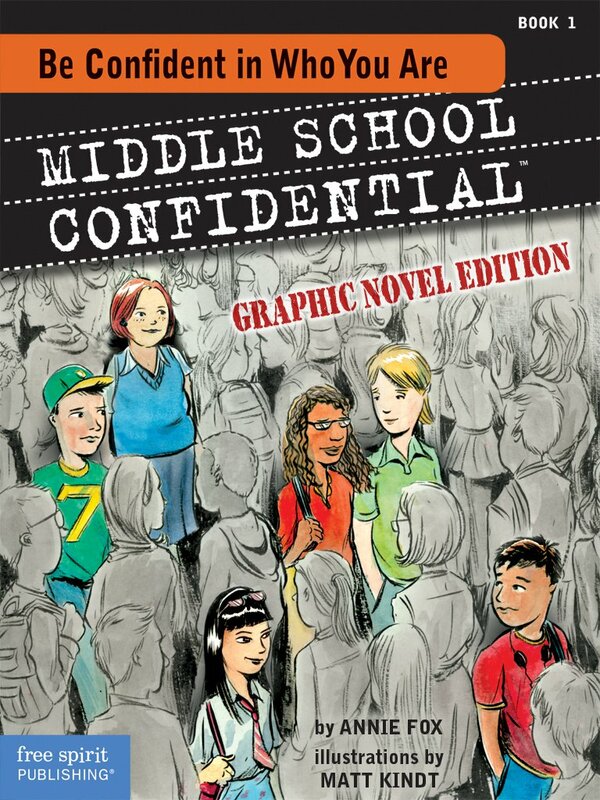 Middle School Confidential 1: Be Confident in Who You Are is a stellar graphic novel app I couldn't wait to get my hands on. It is an engaging comic that brings readers into the lives of middle schoolers who are simply trying to figure things out. Issues such as bullying, blowups, looks, popularity, stress, peer approval etc. are all addressed. 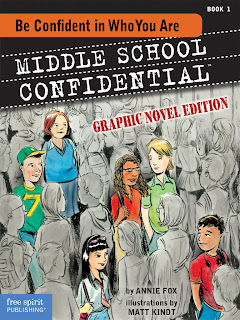 Not only does this graphic novel address hot-button, relatable issues middle school students face in their daily lives, they also offer strategies for dealing with them. The layout deviates from the typical picture books for those in elementary school and thus makes it more appealing to adolescents. Stories involve kids talking to other kids and doesn't come off as "preachy"
Chapters are broken up in a manner that allows for users to work on and address issues and concepts over a period of time, not all at once. This gives users time to process what they've heard. Users are able to view the full page or view it panel-by-panel. The zoomed in panel view allows for prediction and foreshadowing to take place. Each frame is accompanied by music and sounds. No narrator here, the user is the reader. It's a great jumping off point for deeper discussion on the issues addressed in the comic. Important language skills/concepts such as perspective taking, foreshadowing, problem solving, can all be targeted. Bottom Line: This is app is a gem and worth more than the $2.99 price tag! Be Confident in Who You Are is Compatible with NOOK, Kindle Fire, nabi, Android tablets, iPhone, iPod touch, and iPad. It requires iOS 4.3 or later.